The most controversial experimental rule developed by Major League Baseball for use in the independent Atlantic League has been delayed back to the second half of the 2020 season, while other changes will be implemented gradually. A plan to extend the distance between the pitching rubber and home plate by 24 inches certainly generated a lot of chatter when first announced by MLB and the Atlantic League. The original plan was to implement this change in the second half of the 2019 season, but the implementation will not be delayed to the second half of the 2020 season. Another change in scheduling: the use of radar tracking technology to assist the home plate umpire in calling balls and strikes will be implemented gradually over the course of the 2019 season rather than on the Atlantic League Opening Day. 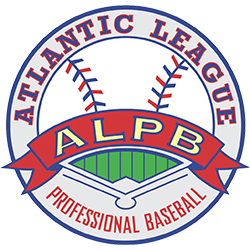 In addition to the aforementioned changes, the new three-year partnership covers the transfer of players from the Atlantic League to MLB and is intended to enhance MLB’s scouting coverage of the independent league’s games. MLB will provide statistical and radar tracking data from Atlantic League games to MLB teams.